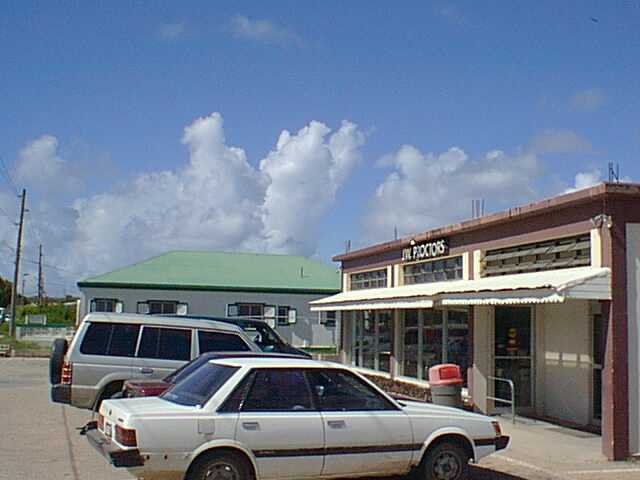 Anguilla is a rural island and first time visitors who rent a villa sometimes have difficulty figuring out where to buy their groceries. So this is our latest in a series of tips for new visitors. Read about Merchant's Market where you can buy fresh and frozen food in bulk! Albert has opened a new marketplace down the street from his original store. Quite a large place. 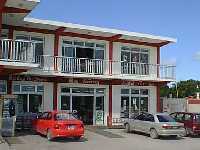 Directions: From the airport, turn left, go straight past Island Car Rental and National Bank. Go straight through the main intersection of Anguilla, where there is often a traffic light that often works. You will find Alberts on the left in about 200 yards. 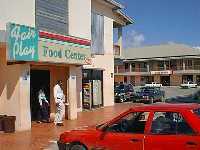 IGA is in the Fairplay Center, the closest thing Anguilla has to a shopping mall. 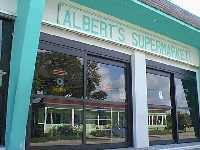 It carries a good selection of American chain grocery items and has nice fresh produce, good selection of dairy products. Look and feel of small US market. No alcohol in this mall. Credit cards. Telephone: 497-3877. Directions: From the airport, turn left, and go straight and turn left at the main intersection (gas station, bank, etc.) onto Coronation Blvd and go past the Library and High School. Turn left again at the roundabout onto Queen Elizabeth Ave. Turn right at Cable and Wireless. If you reach the airport roundabout, you missed the turn. Go one block, then turn right and you should see IGA on the left. Similar to IGA, but more speciality items (Spanish, Jewish, East Indian, etc.). Stupendous variety of groceries (sesame seed oil, hot mustard, stuff olives, ...). Sometimes they sell Avon Skin So Soft bath oil, which is good for discouraging mosquitos. Will special order if you ask. Remodeled and expanded since the IGA opened. Variety store upstairs. Liquor store next door. Telephone: 497-2641. Update: read this article about Ashley's comeback after Hurricane Lenny. Directions: From the airport, turn left and go straight until the main intersection by the gas station. Then turn left onto Cornonation, go through the roundabout, and up the row of mahogany trees. Just before the basketball court, turn left and you will see Ashleys. If you reach Public Works, you missed the turn. 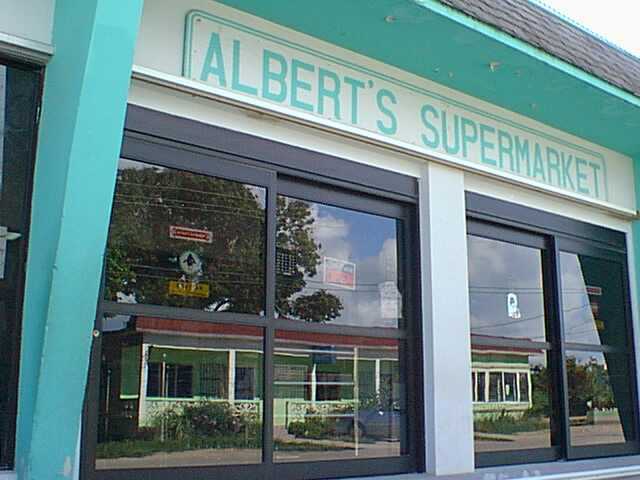 A mid-size grocery that carries some specialty items from England. Located in The Quarter. Often carries local produce. Telephone: 497-2446. Directions: From the airport, turn left and go straight until the main intersection with the gas station and bank. Turn right and head into The Quarter. Go straight and look for Proctors on the left in about 3/4 mile. If you reach a sharp turn in the road, you went 100 yards too far. 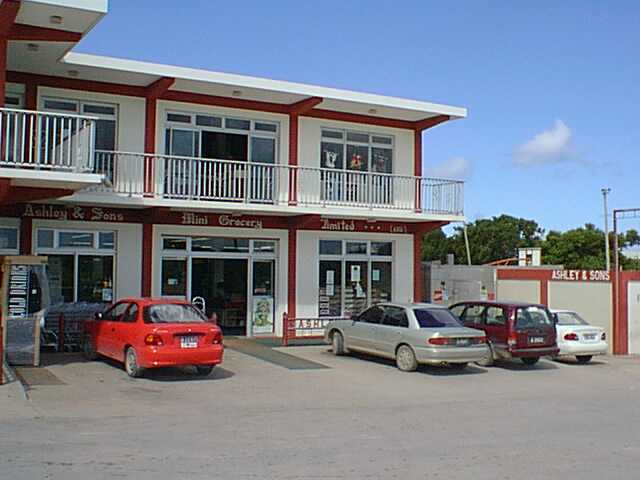 Most villages have their own grocery store. These are medium-sized, such as the one in Blowing Point, Stoney Ground, Sandy Ground, Long Bay, and the Island Pub in Island Harbour. The selection in some is quite extensive. And then there are the really small stores: Every few hundred yards along the road there is a small place to buy food, although it may not have a sign. These may just have a freezer with some chicken and some bags of rice, or they may have a selection of canned goods. This is where people without cars shop for the basics. You are on vacation. Don't think about the price. If it is something you usually eat, buy it. The prices are at least 50% more than a US supermarket and hard to calculate, since they are marked in EC$. The EC$ is 2.68 per US$, so the prices look very high. The store clerks convert EC$ to US$ and always seem to get it right. Most stores are closed on Sunday, but IGA is open until noon. Markets are normally closed on public holidays, but sometimes one will be open until noon (call Ashleys and IGA in The Valley to check). Fresh meat is difficult to find. Most meat is frozen and the selection is limited. If you are willing to buy a case or large amount, try the Merchants Market wholesale in Little Dix village. Telephone: 497-5533. Directions: From the airport, take the only exit and turn left, then left again past the entrance to the airport, then right at the roundabout. Continue into town about 1/2 mile until you see the Anguilla Drug Store on the left. Turn left on the dirt track and in back of the drug store you will find Merchants Market. Case quantities of Beer, Coke, Ting and bottle water are available at Tropical Flower Wholesale for good prices. Telephone: 497-4315. Directions: From the airport, turn left and go straight until the main intersection. Turn right into The Quarter and follow this road for several miles and two jogs until you see the tall radio tower on the left. Now look for Tropical Flower on the left. If you reach the roundabout, you went too far. Gourmet Option: If you are a gourmet, you might want to do some grocery shopping in St. Martin, especially on the French side. They have a well-stocked "Match" supermarket with Parisian delicacies flown in every week. This is located in Marigot, a short taxi ride from the ferry or a longish walk. Directions: from the ferry, walk straight up the main street about 1/4 mile to the road around the island. Wait for a minibus going to the left, or just turn left and walk about 1/2 mile. The mall is on the right. 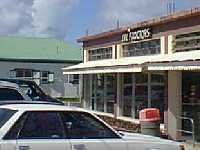 But there is an excellent expanded grocery store near Cap Juluca in the West End: Foods 95. My wife and I are heading to the island Saturday and wondered if there are any places you can buy fresh fish from any of the locals. Do you have any suggestions? Thanks for your insight and help! The answer: The main fish market (The Fishery) is located on George Hill/ Waterswamp area on the main road before you reach the roundabout heading down to Sandy Ground if you're travelling westwards. They sell fresh fish that is already cleaned anytime between 5:30pm and 7:00pm everyday except Sunday. Some days they have fish in the day but they often sell out all their fish by 7:00pm. The fishermen bring their fish at varied times between 5:30pm and 7:00pm so to avoid waiting a long time or going too late, I always call them at around 5:30pm to get a rough idea when the fish will be brought in. You can call 497-3170 and speak to Esme or Eric to find out. 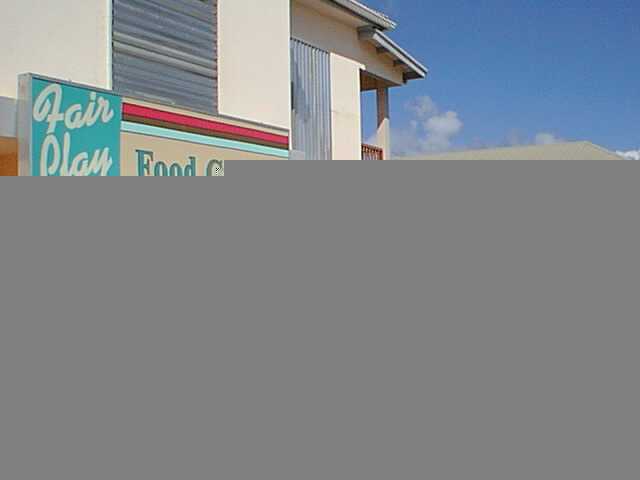 Also there are several spots that sell fish in Island Harbour but the times are days of sale are not set. If you happen to be in that village sometime you can ask a villager the best time and place to get fish. You may wish to ask if the fish is already cleaned and gutted as this chore can be arduous at times (smile).